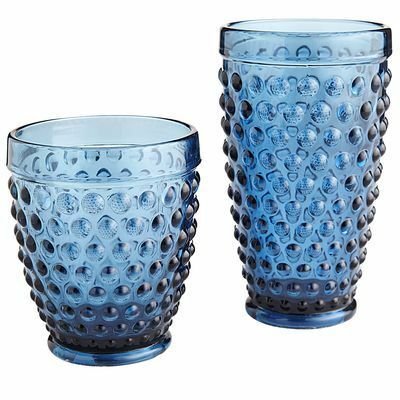 This Blue Emma Drinkware is handblown in the iconic hobnail style first popularized in the 1930s, with a distinctive bumpy surface that is both interesting to look at and fun to hold. $5.95. Buy here.